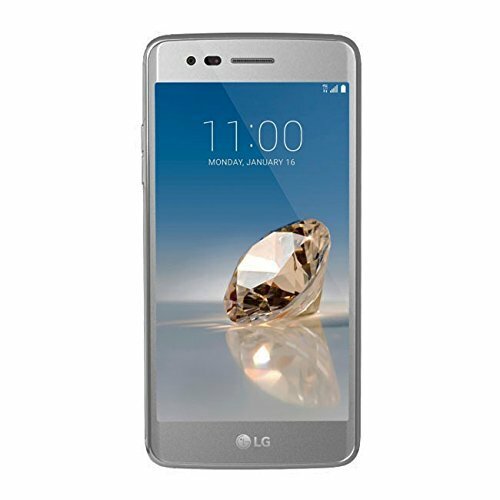 LG Aristo M210 T-Mobile Grey, Clean ESN (Certified Refurbished) by LG at Andy Pemberton. MPN: CP_NW_88-cr. Hurry! Limited time offer. Offer valid only while supplies last. Specs Display5 in diagonal, 16:9 HD 720 x 1280 pixels 294 ppi approx. Type: LCD (TFT/TFD) Battery2410 mAh LiIon Removable Talk: 17 hours max. Specs Display5 in diagonal, 16:9 HD 720 x 1280 pixels 294 ppi approx. Type: LCD (TFT/TFD) Battery2410 mAh LiIon Removable Talk: 17 hours max. Standby: 344 hours max. Processor1.4 GHz Qualcomm Snapdragon 425 MSM8917 quad-core 1.5 GB RAM Storage16 GB raw hardware 9.8 GB available to user Expandable via memory card Camera13+ megapixel LED flash, auto-focus face detection, can capture stills while recording video, voice trigger, timer Video: 1080p HD Front Camera5 megapixel Weight5.01 oz 142 g Dimensions5.7 x 2.84 x 0.32 in 145 x 72 x 8.1 mm OS / PlatformAndroid version 7.0 Modes more detail less detail LTE 2 / 4 / 5 / 12 WCDMA 2 / 4 / 5 GSM 850 / 900 / 1800 / 1900 LTE 4G band 2 / 1900 MHz PCS (Americas) band 4 / 1700 MHz AWS (Americas) band 5 / 850 MHz Cellular (Americas, Oceania, Brazil, Israel) band 12 / 700 MHz Lower 700 (USA (AT&T, T-Mobile, regional)) WCDMA 3G / 4G band 2 (II) / 1900 MHz PCS (Americas) band 4 (IV) / 1700 MHz AWS (Americas) band 5 (V) / 850 MHz Cellular (Americas, Oceania, Brazil, Israel) GSM 2G 850 MHz / band 5 Cellular (Americas, Oceania, Brazil, Israel) 900 MHz / band 8 (Europe, Asia, Africa) 1800 MHz / band 3 DCS (Europe, Asia, Africa) 1900 MHz / band 2 PCS (Americas) Data TechnologyLTE (Cat 4) SIM card sizeNano 4FF The phone does not include the sim card.